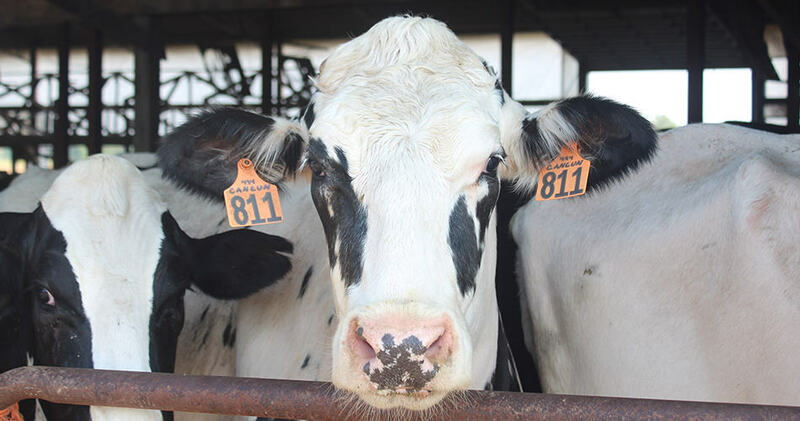 The Bertke dairy farm in Mercer County, Ohio is home to 120 milking cows and 164 acres of farmland which have been in their family for six generations. Damon and his father Dave work together with their families to provide excellent care for their cows and land. Why did you choose to come back to the farm? Damon: After high school, I completed my associate’s degree at Wright State, but coming back to the farm has always been my first choice. I love working with cows. When I was younger, I was involved in 4-H, and I got to have my own project heifers and cows that I cared for 6-8 months out of the year. I enjoyed watching them grow and knowing I had a hand in that. We always make cow care a top priority and know that if we take good care of the cows they’ll take good care of us. Damon: I like it. It’s neat because I get to see my family every day. The cows always have to be cared for, so someone is always here. We can depend on each other and if anyone needs something, we’re always around to help! My parents say grandkids are better than kids, so I know my parents enjoy having our daughter Paige here too! What is your hope for the next generation? Dave: Dairy farming has its challenges, especially when it comes to fluctuating milk prices or unpredictable weather conditions, but we stay optimistic that this farm will provide a good life for Damon and his family. Damon: We always make cow care a top priority and know that if we take good care of the cows they’ll take good care of us. We keep this in mind as we continue to make improvements, and maybe someday we’ll be able to hand it down to our daughter Paige, the seventh generation here at the farm.